Like all good economists, John Maynard Keynes was better at predicting the past than the future. Writing in Economic Possibilities for Our Grandchildren in 1930, Keynes said that in 100 years’ time, people would work no more than 15 hours a week. With many people still clocking up 40 hours or more, that prediction was somewhat wide of the mark. Fast forward to one of today’s most successful businessmen, Jack Ma, of giant Chinese conglomerate, Alibaba. He’s on record as saying that, in 30 years’ time, people will “only work four hours a day and maybe four days a week”. It sounds great and certainly grabs the attention. However, there is one teeny tiny potential snag. Will a large enough number of people be able to amass sufficient wealth fast enough to send working hours plummeting that much by 2047? Predictions of dramatically reduced working hours also fly in the face of the experience of the time worked by entrepreneurs such as Tesla and SpaceX founder, Elon Musk. He estimates his working week at between 80 and 100 hours. And he’s not alone. The founders of practically every successful start-up, from Airbnb to Uber, have all worked around the clock to develop their businesses. But while the jury is still out on the future length of the working week, what’s far more certain is that the world of work itself is going to undergo seismic change in the years ahead. There will still be room for human skills, but the mass adoption of robots, combined with advances in machine learning, automation and artificial intelligence, are going to have a huge impact on the jobs landscape. In a recent report, Workforce of the Future: the Competing Forces Shaping 2030, PwC came to the conclusion that workers are facing complete retraining or reskilling to tackle the impact of technology on employment. Yuval Noah Harari is an Israeli historian and philosopher who teaches at the Hebrew University of Jerusalem. The author of Sapiens: A Brief History of Humankind and Homo Deus: A Brief History of Tomorrow, Harari takes the chilling view that technology is going to make many jobs obsolete and that huge numbers of largely unemployable people will find themselves part of a “useless class” trying to find meaning in a world without work. The problem is not creating new jobs, Harari believes, but creating jobs that humans do better than algorithms. Harari sees virtual reality as the key to finding meaning in the post-work world. “Maybe these virtual realities will be generated inside computers. Maybe they will be generated outside computers, in the shape of new religions and ideologies. Maybe it will be a combination of the two. The possibilities are endless, and nobody knows for sure what kind of deep plays will engage us in 2050,” he says. In Sapiens, Harari argued strongly that the agricultural revolution, far from being a great leap forward for mankind, was “history’s biggest fraud”. He points out that, until about 10,000 years ago, homo sapiens lived a fairly comfortable life hunting and gathering. Then the species began to invest more and more effort into cultivating wheat. “Rather than heralding a new era of easy living, the agricultural revolution left farmers with lives generally more difficult and less satisfying than those of foragers,” he says. So, while the revolution did enlarge the sum total of food at the disposal of humankind, the extra food did not translate into a better diet or more leisure. “Rather, it translated into population explosions and pampered elites. The average farmer worked harder than the average forager, and got a worse diet in return,” Harari says. Bank of America has recently suggested that automated systems will be doing nearly half of all manufacturing jobs within a generation. 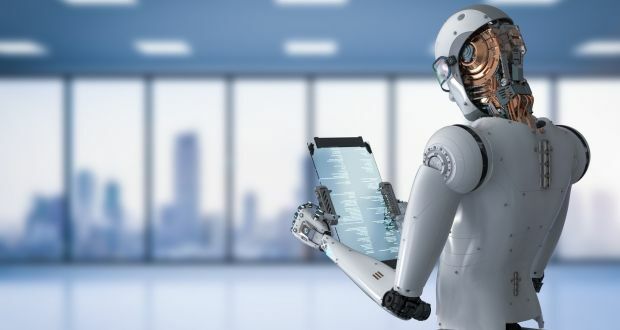 In the UK, consultancy firm Deloitte has claimed that automation has eliminated 800,000 jobs there since 2001 and could threaten a staggering 11 million UK jobs within a decade. The UN, too, fearing that robots could destabilise the world, has opened a Centre for Artificial Intelligence and Robotics in The Hague to monitor developments that it believes could cause everything from mass unemployment to the use of robots by criminal organisations or rogue states. Last year, with forecasting skills that put those of John Maynard Keynes in the shade, Prof Stephen Hawking warned that powerful artificial intelligence would prove to be “either the best or the worst thing ever to happen to humanity”. Whatever the outcome, there’s every chance that on this occasion he’ll be proved right.